I have been working on a couple of new designs. I was asked to make a cross body bag for a birthday present and this is the first design. I have too many ideas to try out sometimes and an ample fabric stash. 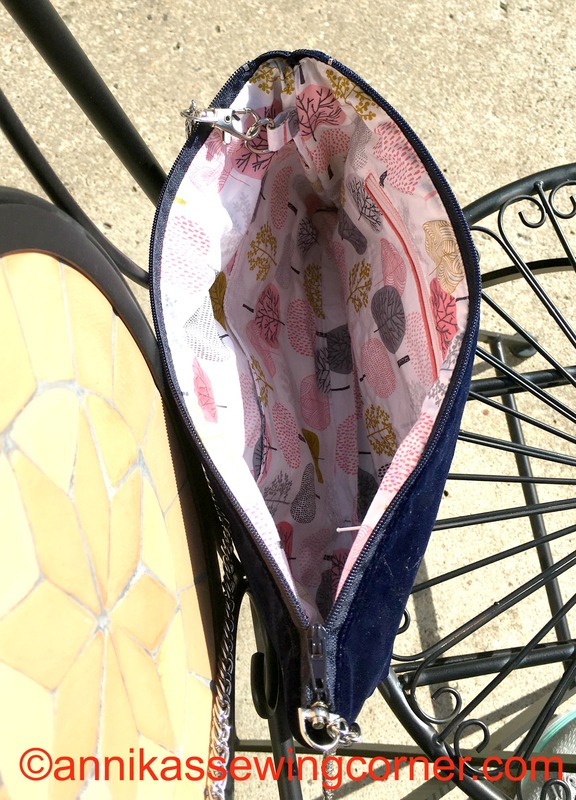 The bag measures 15″ x 8″ and is 3 1/2″ deep and has 2 big pockets on the front of the bag. Very good size if you like a larger handbag. I am going to make a hand bag for my daughter’s best friend’s 18th birthday. She wants a bag made out of velvet so I decided to make a smaller test project to see how it is to work with. 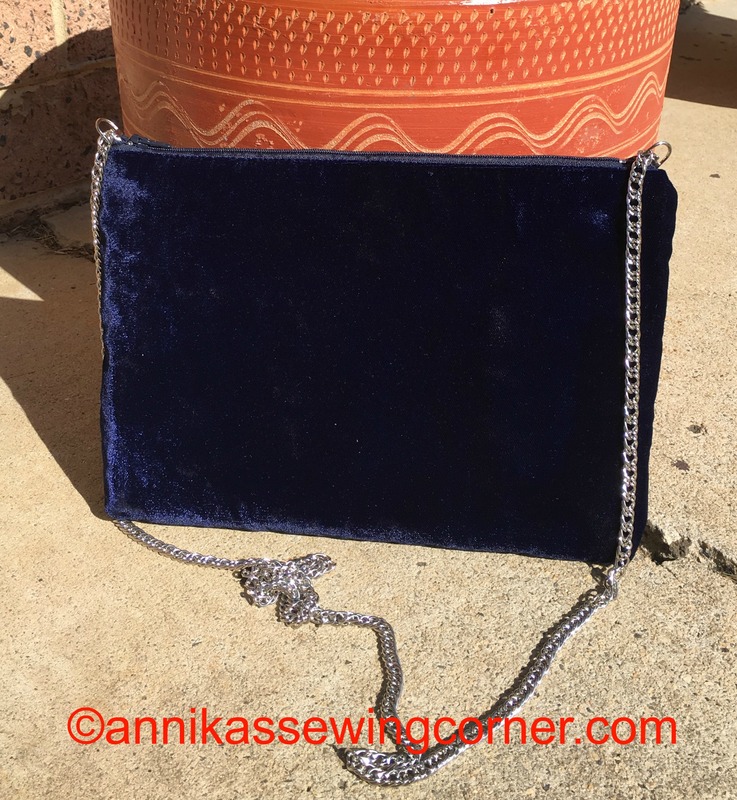 I made a larger clutch/handbag with a detachable chain. It measures 11″ x 8″ and I boxed the bottom corners just 1 inch. 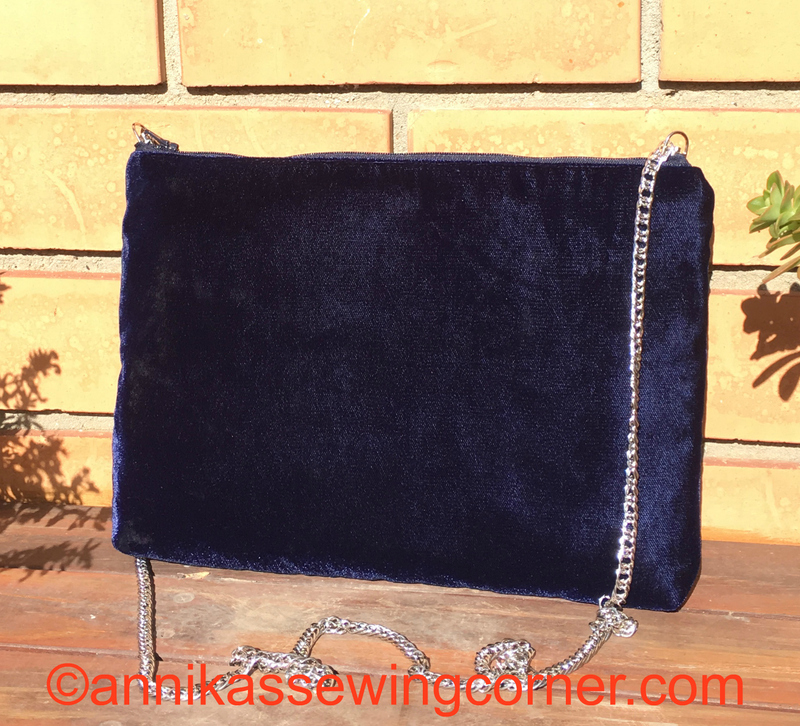 It is made like a large zipper pouch, just like this coin purse that you can find on my tutorials page or here. The pieces are bigger and I added pockets to the lining pieces. I also added two tabs with D-rings in the lining side seams to attach the chain. 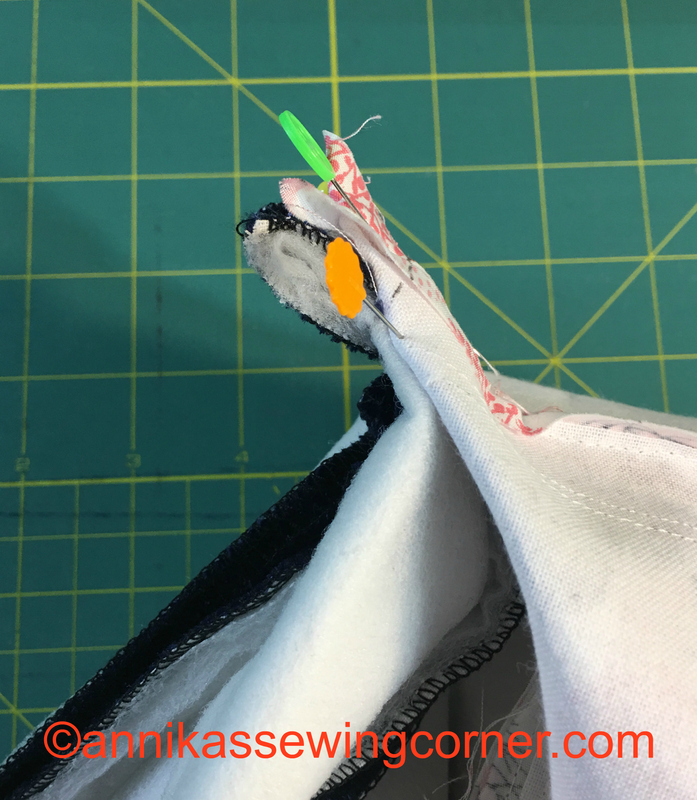 It is important that it is a little opening on each end of the zipper ends for the chain to go through. 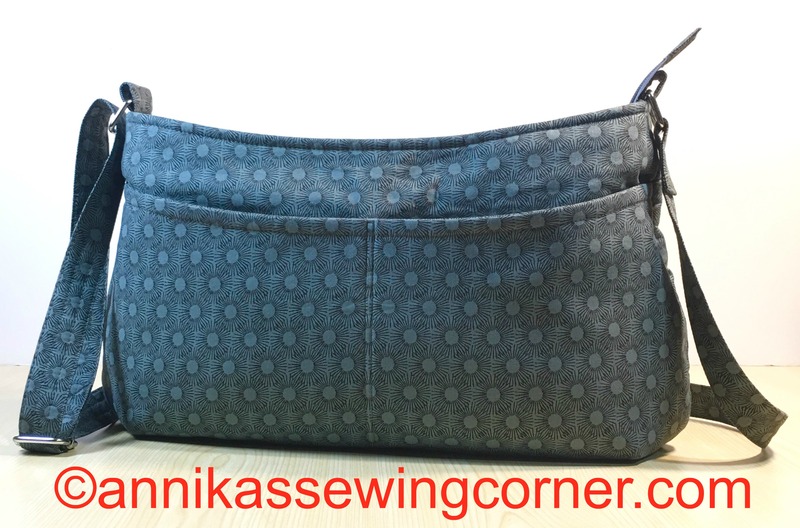 When I boxed the corners I sewed the lining and outside bag corners together. That is a great way to keep the lining in place. The velvet I used is quite thin so I ironed on thin batting. It is important to use a tea towel or similar to protect both batting, velvet and the iron. 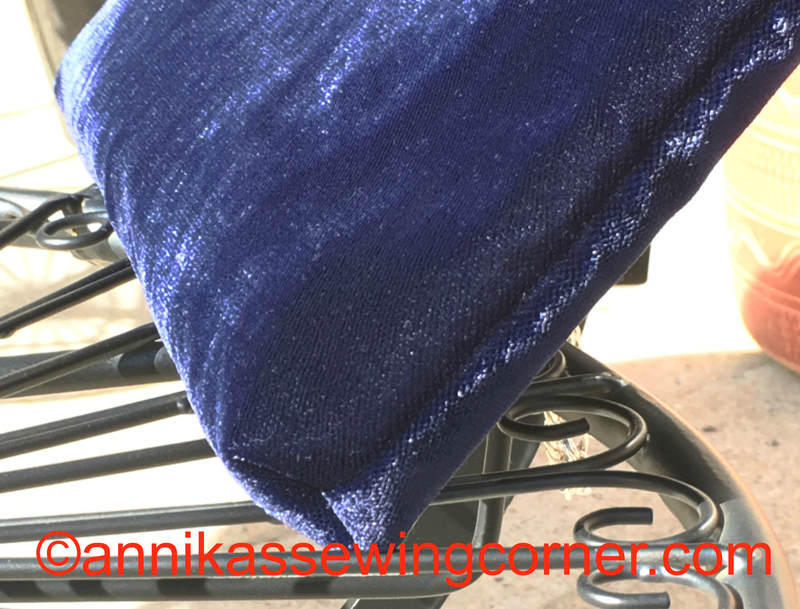 I used a light weight fusible woven interfacing on the lining. This worked very well for this project. Considering it is a test project I think it turned out very well. My daughter said she wanted to use the bag on Saturday night. That is a big compliment to me! Happy sewing and take care!